Thank you to everyone who helped make the 14th tournament a success: together we raised over $74,000. Please check out the photographs from Friday and Saturday, along with some of our division winners and finalists. 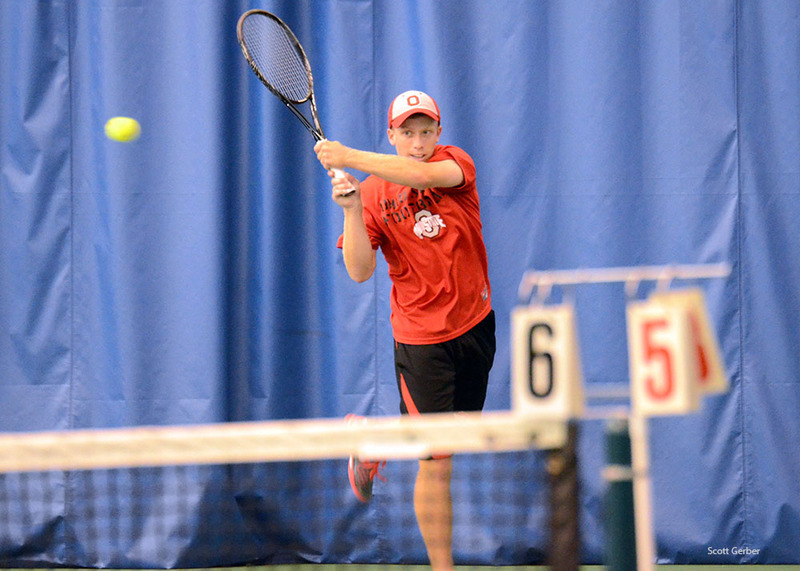 Special thanks to Fromuth Tennis for the donation of U.S. Open t-shirts and Ty Tucker, coach of The Ohio State Men’s Tennis team, for donating tennis apparel as prizes. Thanks, too, to Cameron Mitchell Restaurants for the donation of Rusty Bucket gift cards and bottled water. Division prizes were generously donated by Tennis Warehouse and Cathy and John Benninger. Thanks to all our sponsors, major donors and in-kind donors for their generous support. 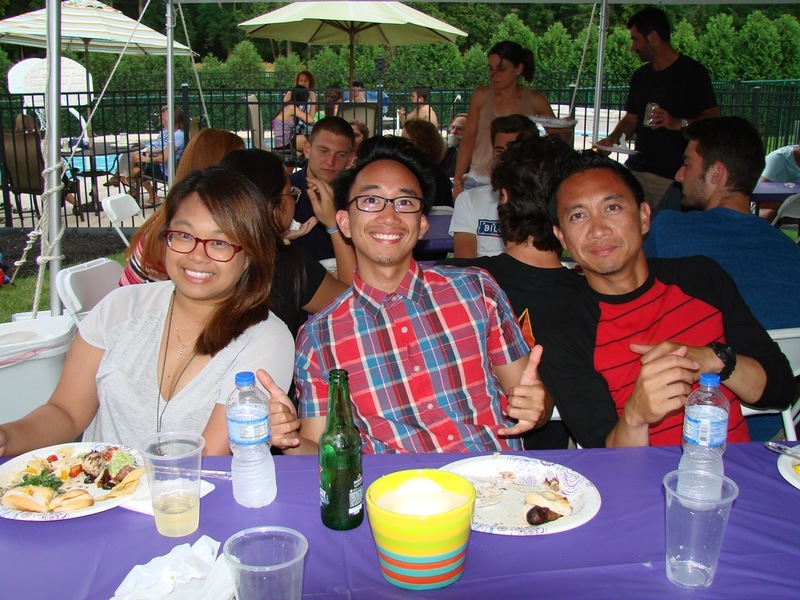 Over 75 players came out for drills and dinner Friday night. 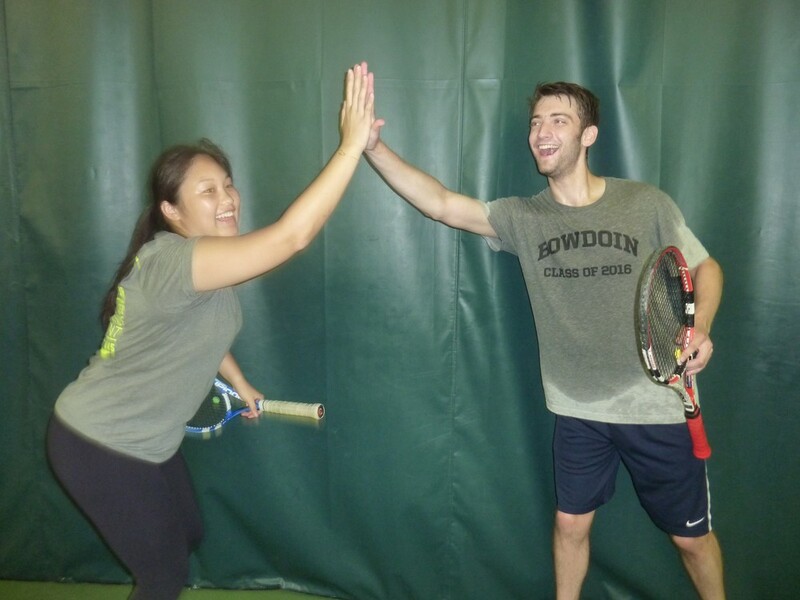 On Saturday 130 players competed in women’s, men’s and mixed doubles round robin play. 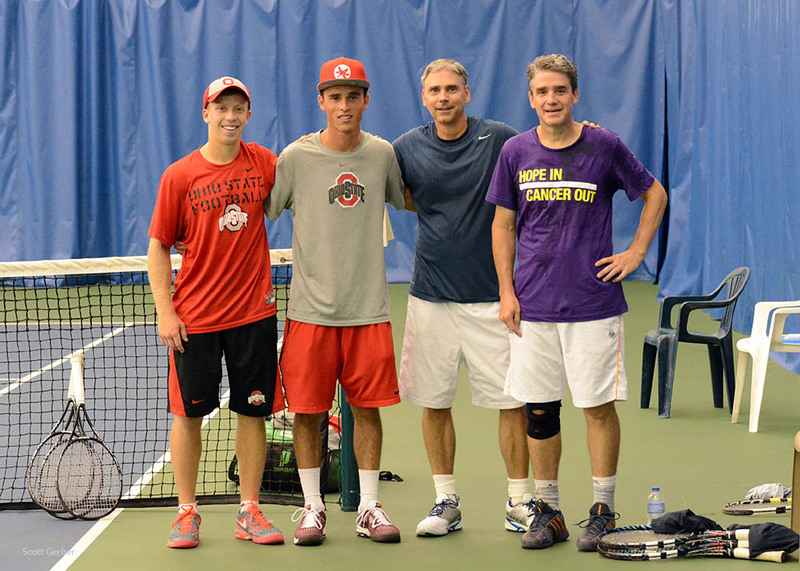 Rain kept us off the courts at Ohio State, but once again thanks to Beth Fitzgerald of Elysium Tennis and Heath Elliot at the Players Club, the tournament moved indoors. Our honoree was David Howard. The tournament was very grateful to have the Howard family as part of the 2018 celebration. The 14th annual Mary Diaz & William Copeland Jr. Memorial Tennis Tournament honoree is David J. Howard. David lived in Dublin, Ohio with his beloved family, wife Berni and daughters Kelsey and Chloe. He passed away on February 10, 2018 after a sixteen-month battle with pancreatic cancer at the age of 47. David was well cared for by OSU’s James Cancer Center and Ohio Health Hospice. David grew up in Chillicothe, Ohio. He graduated from Huntington High School in Ross County where he excelled in academics and football, basketball and track. He first met his wife when they were teenagers in a pig barn at a county fairground. David’s parents, Robert and Cynthia, sister Lori, brother-in-law Rick, and nephew Noah are among the many who mourn his loss. David continued his education at The Ohio State University where he graduated with a degree in Zoology. Family was always the most important facet of his life, and he and Berni were thrilled to welcome their first child before David graduated. Berni remembered they earned a combined total of $10.75 per hour in 1993, but they were self-sufficient and immensely happy. To forge a living, David taught himself about the information technology field and became an IT consultant. At the time of his death, he worked at Cardinal Health where he was greatly liked and respected by his colleagues. David would always describe himself as a loner, but he was never alone as people were always drawn to him. Berni laughed, recalling a grocery delivery man who would pull up a chair to sit with David whenever he came to their house. David was a fan of OSU Sports and the Cincinnati Reds. He enjoyed biking on the many trails near his home. He was the family cook, a skill he learned from his grandmother and great-grandmother, whom he considered his best friends. Berni says her husband was a funny man and there was much joy in their lives. Most of all, David adored being a father, with Kelsey and Chloe at the center of his universe. He let Berni understand that he had everything he wanted and had no regrets. Berni shared that David was extremely humble and that she, Kelsey and Chloe have been uplifted by the care and support they’ve received. David watched the tournament last year to cheer on his family. He was especially pleased that Berni had found a hobby she relished and asked her to promise to keep playing. We would like to honor Sue’s father, J. Richard Simon, who lost a long fought battle to Parkinson’s disease on May 3rd, at the age of 87. 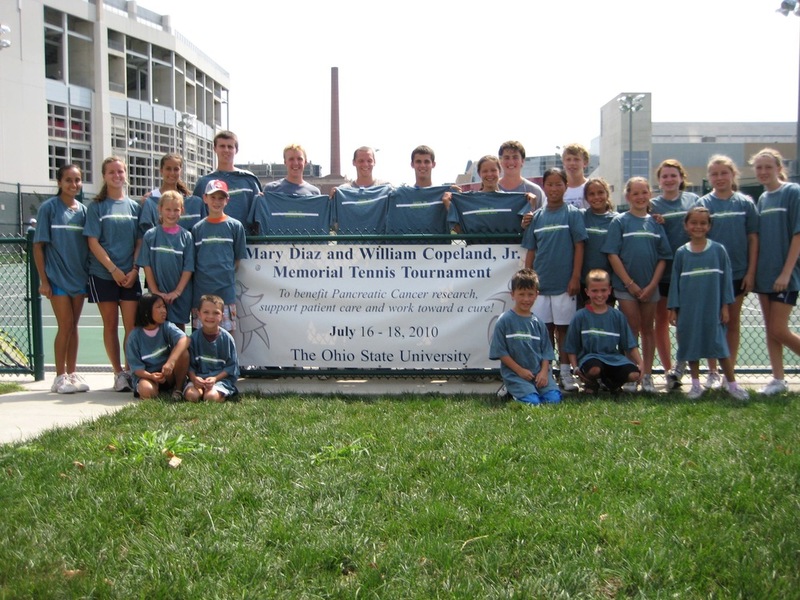 The 12th Annual Mary Diaz & William Copeland Jr. Memorial Tennis Tournament raised over $65,000! 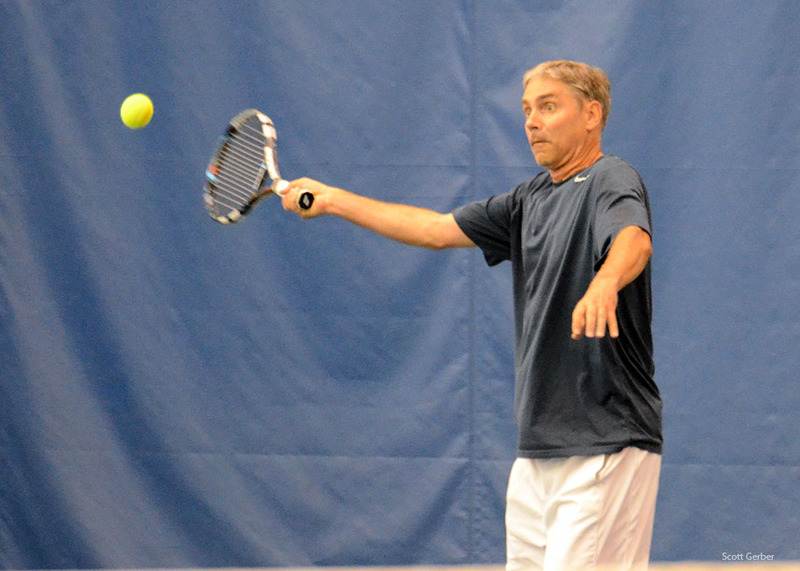 Friday night, July 22nd, more than 50 enthusiastic tennis players came out to enjoy doubles drills in anticipation of tournament play the next day. Special thanks to Wilson Sporting Goods for donating a racket, t-shirts, hats and towels, also to Ty Tucker, coach of The Ohio State Men’s Tennis team, for donating tennis apparel as prizes. 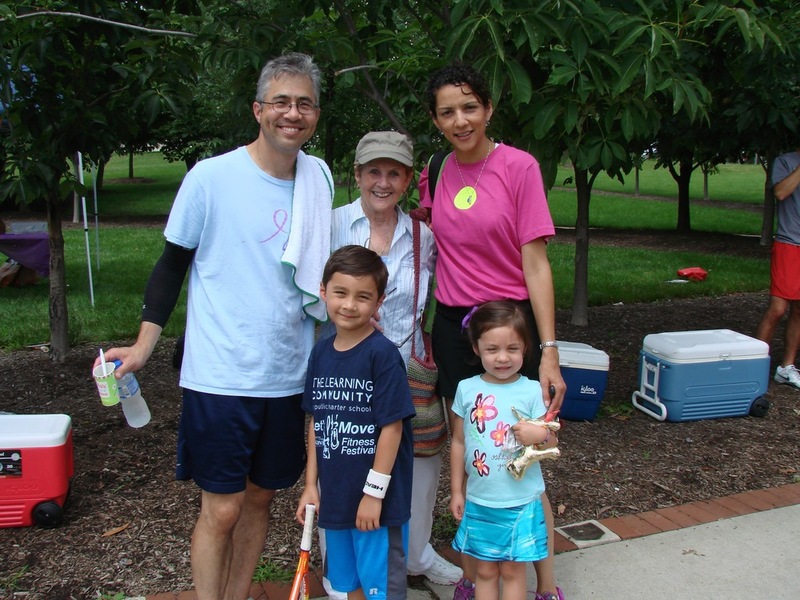 Lillian “Nona” Tait was a treasured part of the Mary Diaz & William Copeland Jr. Memorial Tennis Tournament community. Thank you to everyone who helped make the 11th Annual Mary Diaz and William Copeland Jr. Memorial Tennis Tournament a rousing success. Thank you to all those who helped make the Mary Diaz and William Copeland Jr. 10th Annual Memorial Tennis tournament a rousing success! 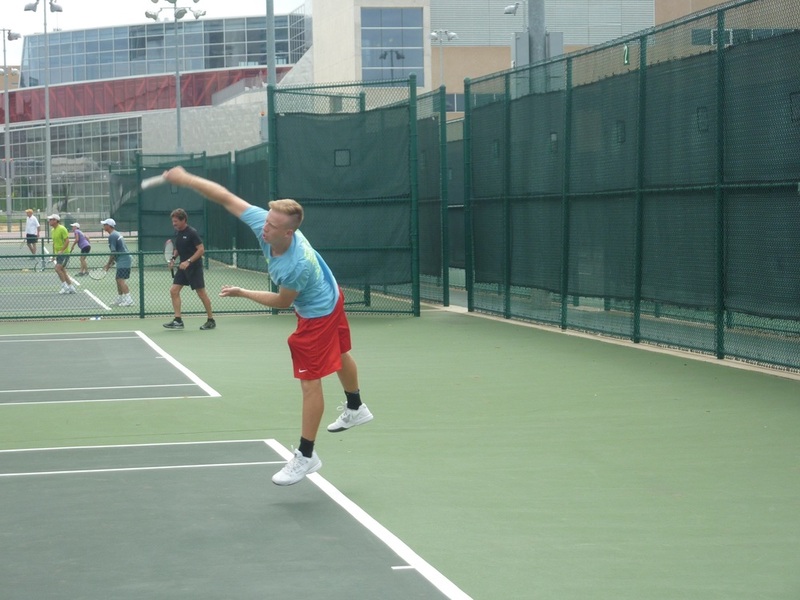 Over seventy family, friends, and tennis enthusiasts came out Friday night, July 18th to help kick off the tournament at The Ohio State University tennis courts. 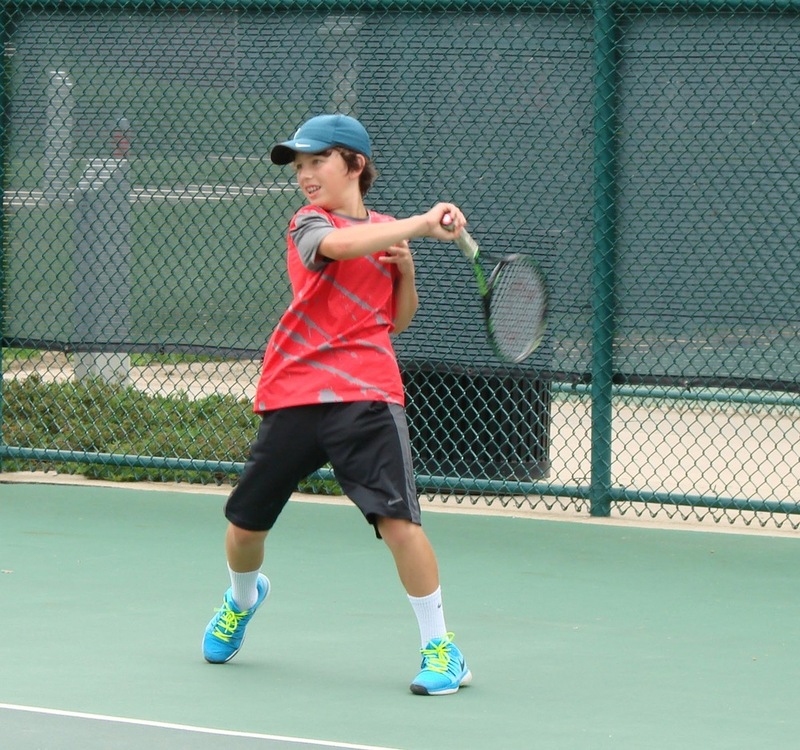 The evening featured doubles drills and a delicious pizza dinner donated by Adriaticos. 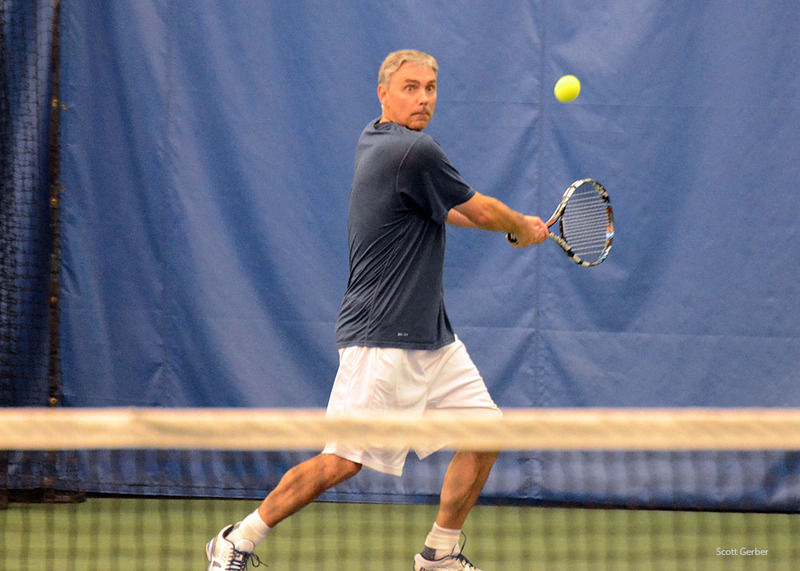 Unhampered by rain on Saturday, the tournament moved indoors, thanks to Brian Heil and the gracious team at Elysium Tennis. 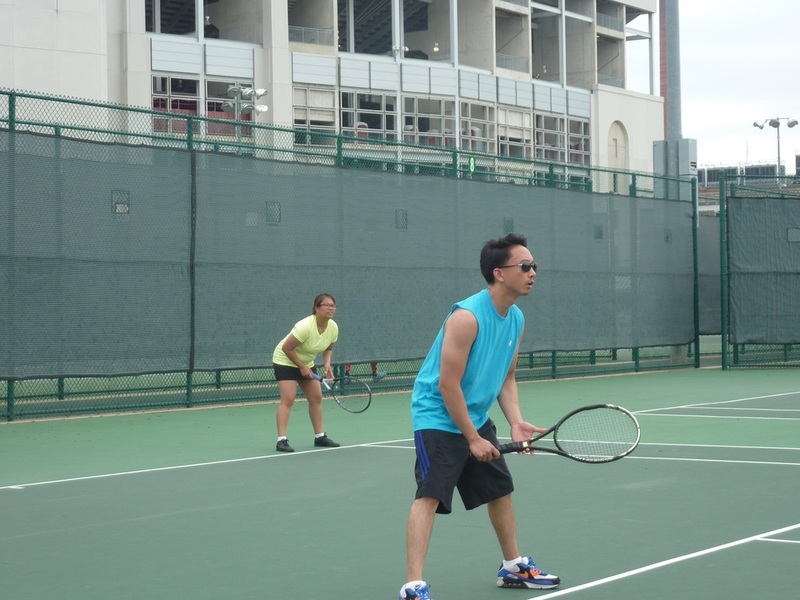 One hundred and twenty players competed in men’s, women’s and mixed doubles draws; champions were crowned in Open through Buddy divisions. 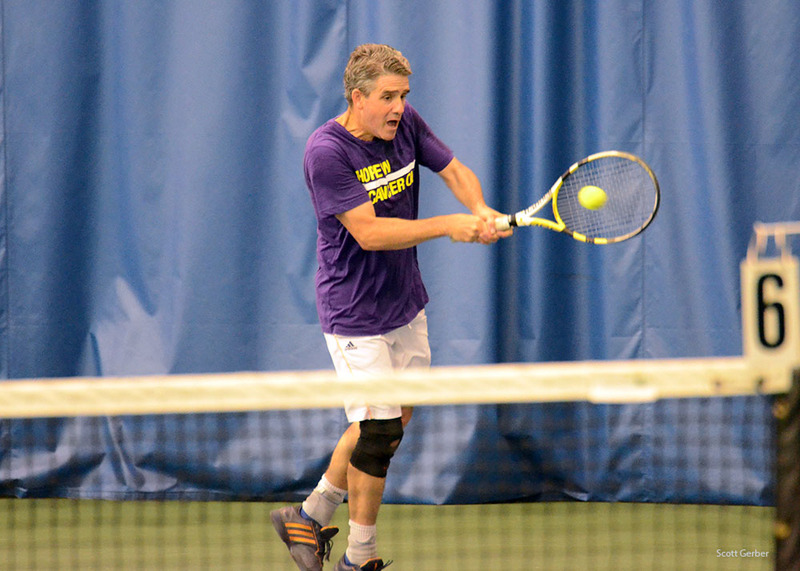 The 2014 tournament raised $62,000, making it the most successful tournament to date. Thank you to all of our sponsors, in-kind donors, players and generous donors. Your support is making a difference in the fight to cure pancreatic cancer! Wilson has donated a signed Venus Williams racket. Special thanks to Wilson rep, Ron Rocchi, and teaching pro Greg Contro. The racket will be auctioned off at the tournament. The Family of John L. Niermeyer (Larry) is grateful to have their husband, father, and grandfather honored at the 2013 tournament. 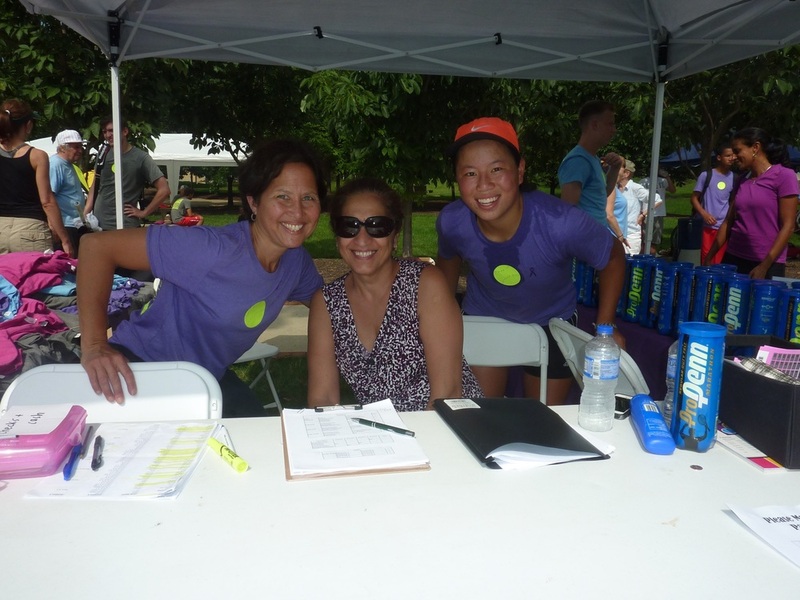 The Olfenbuttel family is proud to have their mother and wife Ingrid Olfenbuttel honored at this year’s tennis tournament to support pancreatic cancer research and the Pancreatic Cancer Action Network.